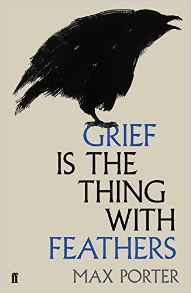 Max Porter’s debut ‘Grief is the Thing with Feathers‘ (Faber) which was premiered at the Clapham Literary Festival in May has won the Sunday Times / Peters Fraser + Dunlop Young Writer of the Year Award 2016. The £5,000 award was presented at a ceremony at the London Library on 8 December. The book received exceptional critical acclaim in 2016, winning the International Dylan Thomas Prize and Waterstones Book of the Month. Let’s hope we can bring another such new literary success to next year’s event. In addition, Omnibus, the Arts Centre venue, has been awarded the Peter Brook/Royal Court Theatre Support Award and will be able to draw on support and expertise from the Royal Court for the next year. Story Bazaar readers who live or work in London ( or at least use the London Underground ) may have come across ‘Books on the Underground‘ a charity which encourages Londoners to read more and, specifically, reading on the tube. You may have come across some of their books, which all carry a ‘Books on the Underground’ sticker. The Story Bazaar is in discussion with the Director and ‘Book Fairy in Chief’, Cordelia Oxley, about Story Bazaar books being included in a BotU Campaign in the New Year. ‘Reconquista‘ will, it is hoped, be the first Story Bazaar book to form part of the campaign. I’ll be reporting back once I know more. Story Bazaar books are all registered under the PLR scheme, whereby an author receives a small amount of cash every time her or his book is loaned from a public library. The Digital Economy Act 2010 extends that, in theory, to ‘e’ book loans, but that section ( S43 ) has not yet been applied. Last year over 2.3 million ‘e’ books were loaned by libraries to readers. Following a European Court of Justice ruling in November Culture Minister Matt Hancock has agreed to incorporate a clause in the DEA Bill to revise the Act. This comes hard on the heels of the European ruling that member states may choose to reduce VAT on ‘e’ books to match the level charged on printed books. Currently in the UK printed books are zero rated for VAT while ‘e’ books are charged at the standard rate ( 20% ). Now it’s over to the Treasury. 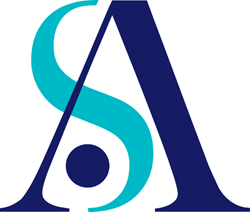 The book industry and the Society of Authors is lobbying hard, especially given the UK’s impending exit from Europe. Work is underway on this year’s anthology, a free ‘e’ copy of which will be available to Reader’s Club members in January 2017. Additionally, there will be a holiday edition of Bazaar News complete with a new and seasonally appropriate short story. The Story Bazaar wishes all its readers a contented and peaceful holiday and a prosperous and happy New Year. There will be blog posts as usual over the festive period, of what’s on in London, looking forward to what 2017 holds and by Story Bazaar authors. Amongst others, ‘barbarapi’ will be reporting on her recent stay in India. This entry was posted in Front page blog post and tagged Front page by juliej. Bookmark the permalink.